As we approach the feast of Pentecost, we pray for the Church and that our faith might not be simply a private matter, but rather that the Holy Spirit will help us witness to Christ in all areas of our lives." 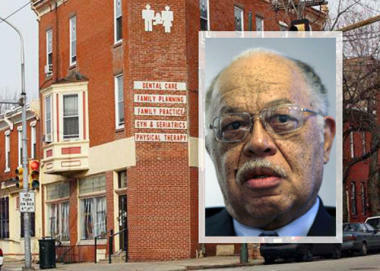 The chairman of the Committee on Pro-Life Activities of the U.S. Conference of Catholic Bishops called for reflection, greater respect for human life and healing in the wake of the May 13 convictions of Dr. Kermit Gosnell of Philadelphia. The three former abortion clinic workers . . . tell of their horrific experiences working for abortionist Douglas Karpen, at one of three of his Texas abortion clinics, the Aaron Women's Clinic in Houston." Additional information: Please exercise caution as the following contains graphic information and images. The annual Cemetery of the Innocents Graveside Memorial Service is held at one of the largest mass graves of aborted babies in the world, where more than 1,500 precious innocents are buried. Please join us to honor the memory of the children who have been killed by abortion. Everyone is encouraged to bring flowers for the grave site. For more information, call Laura Weston at 214-358-0694. Youth For Life Pro-Life Boot Camp – Register early & save money! Youth For Life Pro-Life Boot Camp is one of the best opportunities for young people (high school, ages 14-17) to become involved in the work of the pro-life movement. Boot Camp will feature Kristan Hawkins, Students for Life of America (Session 2 only), Theology of the Body Evangelization Team, The Crossroads Pursuit: Marcellino and Anthony D’Ambrosio, and a viewing of the pro-life short film Crescendo, as well as praying at abortion centers, skits, volunteer projects and Mass. For more information and to register, visit prolifedallas.org/bootcamp. Sponsored by the Catholic Pro-Life Committee and the Respect Life Office of the Diocese of Fort Worth.